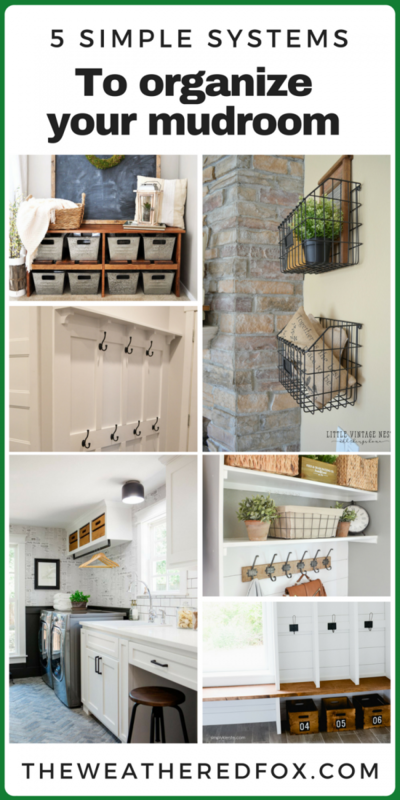 Jessica here, from The Vanderveen House, to give you some great ideas for entryway and mudroom organization. 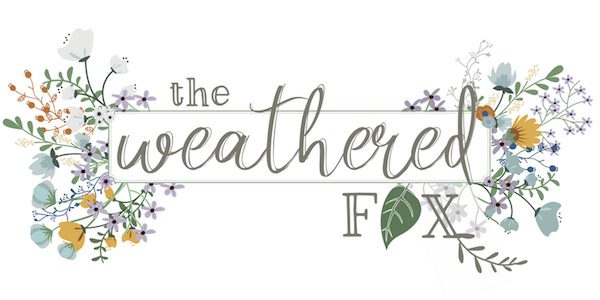 With four children at home, we have so many coats, boots, hats and mittens that it is impossible to keep our mudroom and front hall organized without some kind of system. 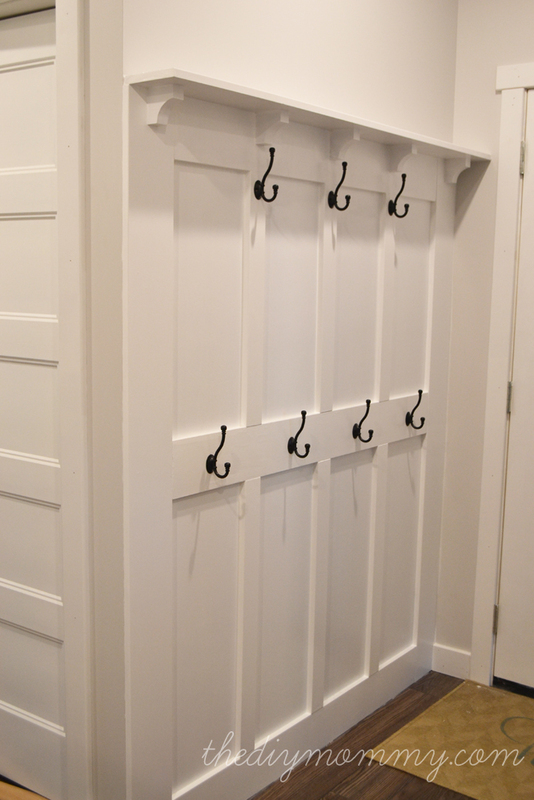 Creating a storage system for our mudroom is on our to-do list, so I’m always on the lookout for great ideas. Today I’m going to show you five systems that you can use to keep an organized mudroom or entryway. 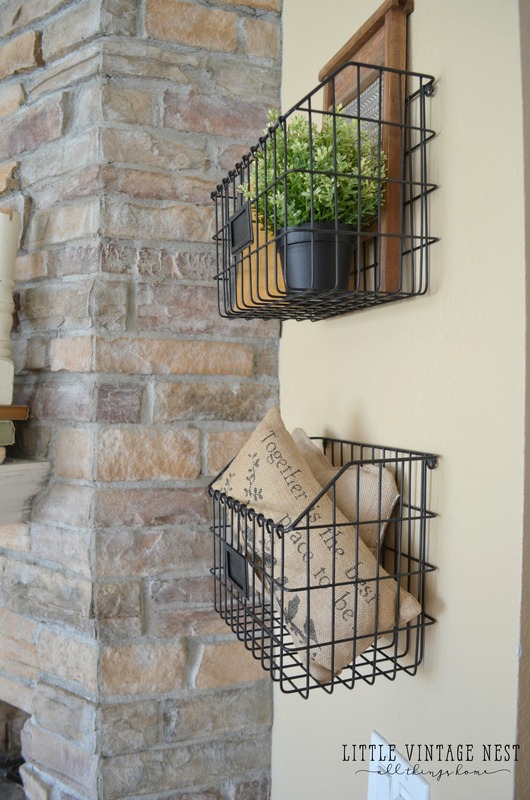 In my opinion, hooks are the best way to keep your mudroom and entryway organized. Whether you use them for your keys, backpacks, purses, coats, hats, scarves… If you have a hook with a purpose, it will keep items off the floor. 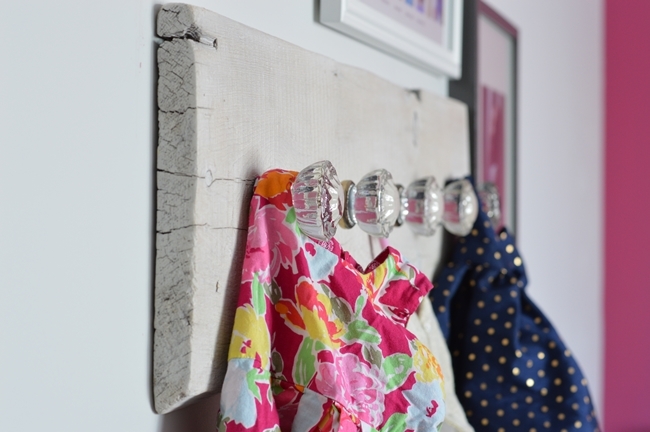 The DIY Mommy has a great tutorial for building this board and batten wall with lots of hooks. 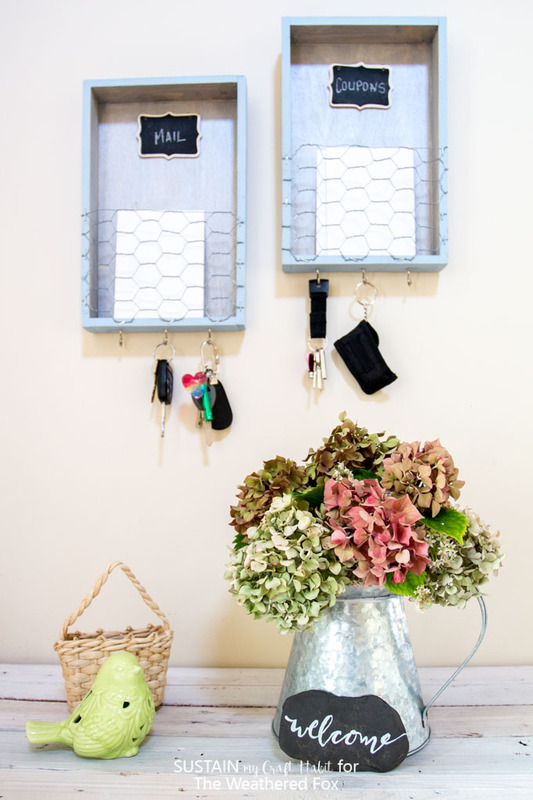 Hooks are also a great way for storing and organizing small items like your keys. 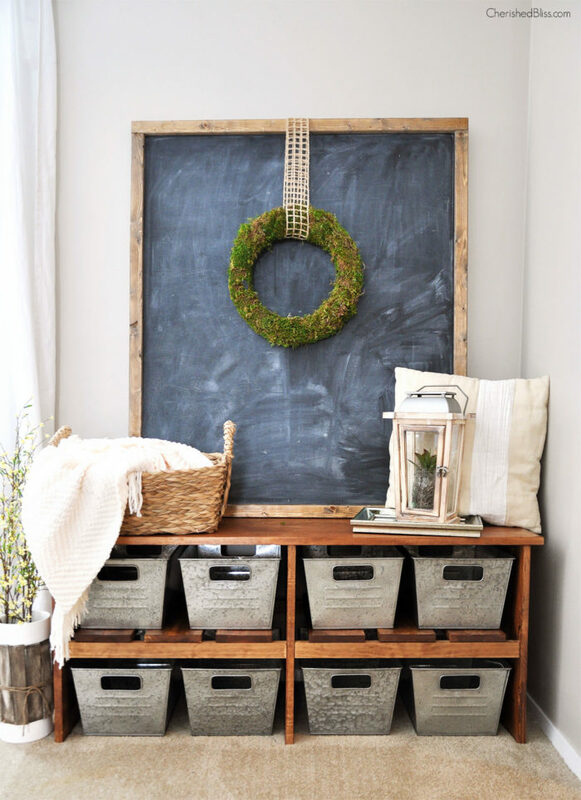 Jane from Sustain My Craft Habit shares how to make this great entryway organizer with key hooks on the bottom. Open shelves are another great way to store all your items, but also leaves them easily accessible. Ashley from Cherished Bliss shows how to make this simple rustic bench with lots of open shelf storage space. Sarah from Little Vintage Nest shows how to transform a small entryway space with these beautiful budget friendly open shelves. This open bench gives lots of room for wooden crates underneath to store extra shoes. 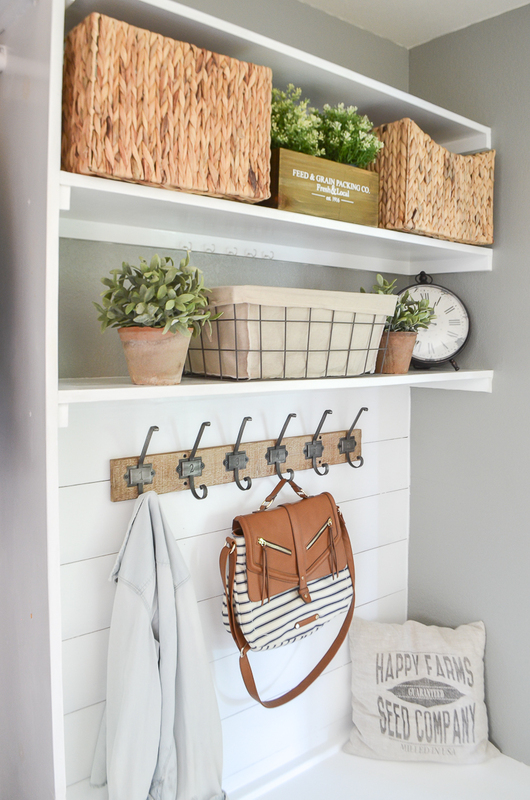 I love how Kierste brought in the wood tones to give some warmth to this all white mudroom. If you have your laundry as part of your mudroom, built-ins are always a good idea. They keep all your clutter hidden behind doors to keep your mudroom looking tidy. I especially love this one with the newsprint wallpaper, so unique! 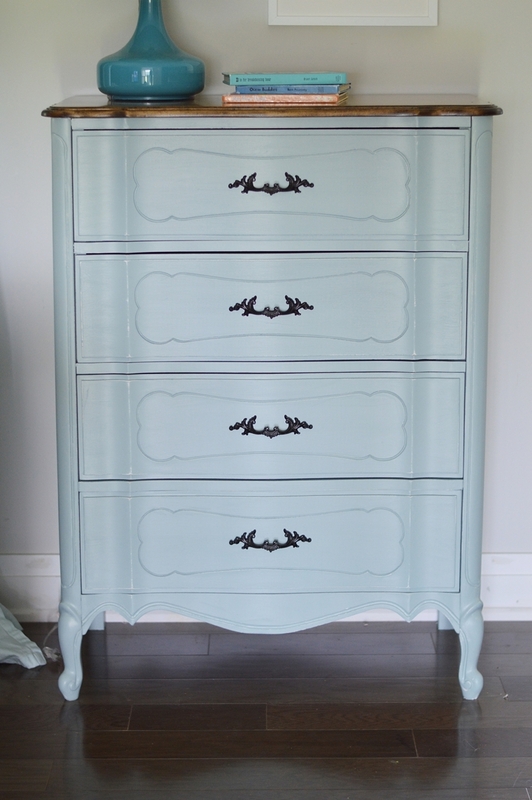 Here is the source list for this room if you love this look too. 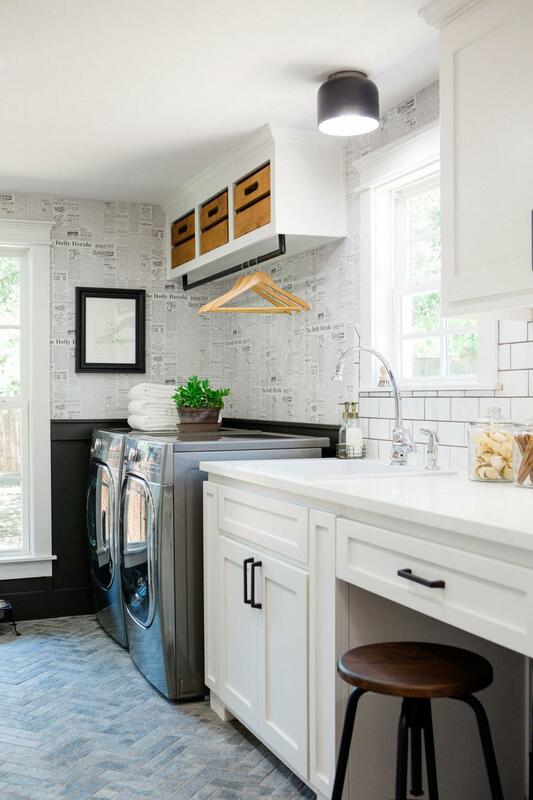 Lauren from Gather & Flourish shows her amazing laundry room makeover. She makes great use of cupboards over her appliances, and has all the elements for a perfectly organized space. 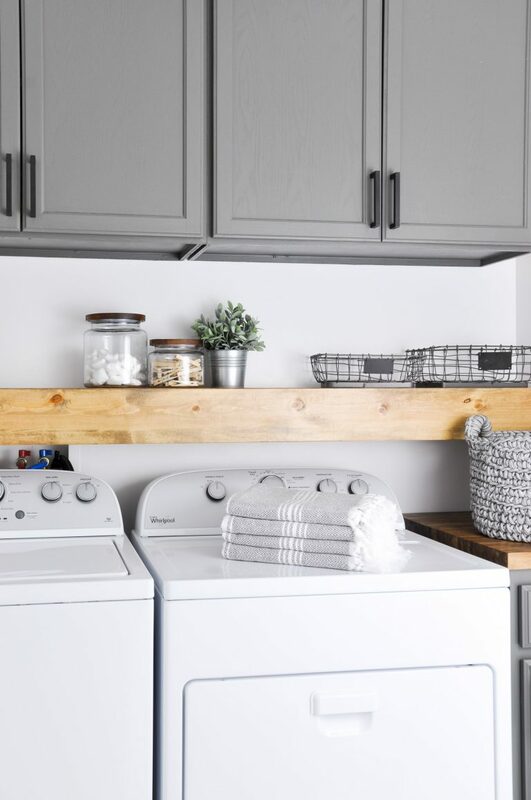 This laundry room from Cherished Bliss also uses a great mix of cupboards, open shelves, and wire baskets so everything has its place. 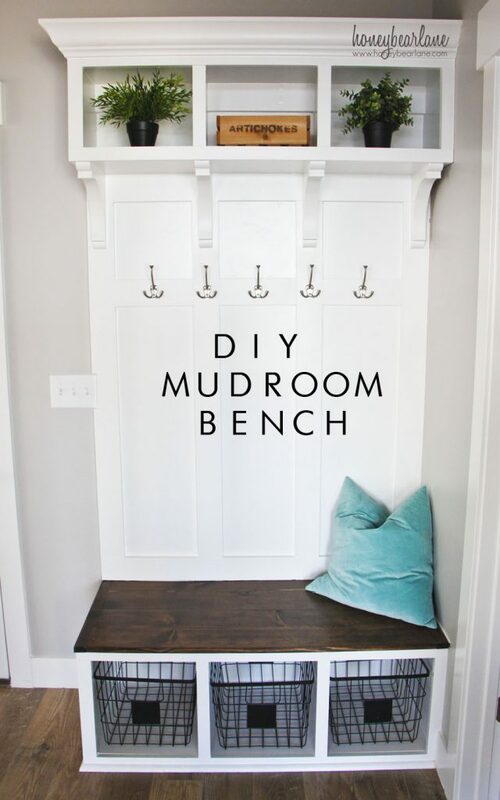 I love the idea of having a bench in the mudroom or entryway. If you have kids, a long bench is perfect so you help them get there shoes on. If you don’t have a mudroom and are working with an small entryway, this bench is a perfect way to keep coats and shoes in their place. You can find the full tutorial to build this bench from Little Red Brick House. 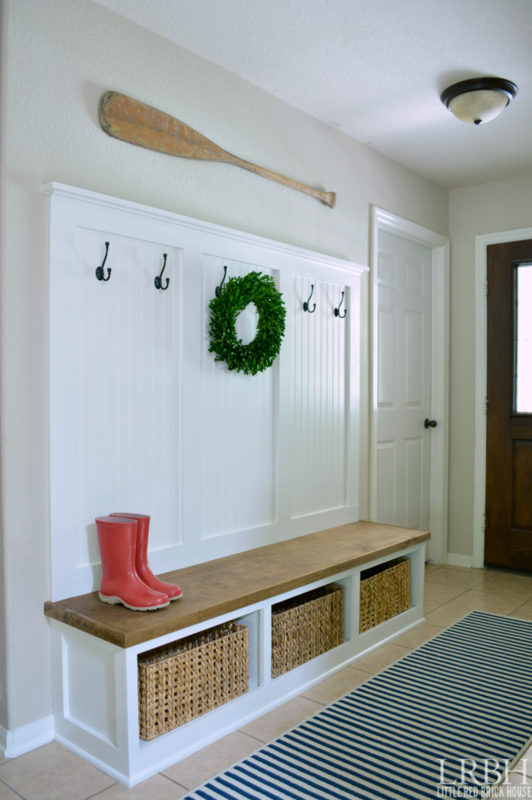 Heidi from Honey Bear Lane shows another DIY mudroom bench that can also be used in an entryway. Using a combination of shelves, hooks, a bench, built in cupboards, and lots of baskets, you can also have a perfectly organized mudroom or entryway! Do you use any of these systems for your mudroom organization? 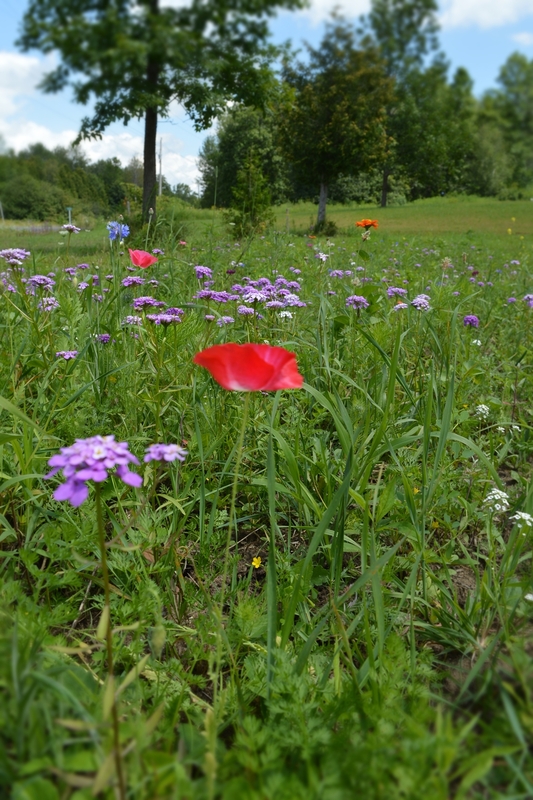 Do you have any of these projects on your to-do list?